Come summer and it is time for you to switch from heavy foundations to light, breathable textures. And as dewy, clear skin can never go out of vogue, we think it’s a good idea to use a BB cream. Blemish Balms or BB Creams have shot to the top of every must-have beauty list, and why shouldn’t they? This miracle product hydrates your skin and conceals blemishes while providing you with SPF-protection. Here’s all you need to know about BB creams. BB creams or Blemish Balms have originated from Japan that have been a huge hit in American and European markets too. Last year, the Indian market saw the launch of over 8 BB creams from different brands. Thanks to it’s fab, multiple uses, a BB cream is a must for us multi-tasking gals. If you don’t really have too many marks or blemishes, you can just take some BB cream (2-3 drops should be enough) on your palm. Use your fingertips to cover the entire face in a dot method. You can either use your fingers to blend and pat the formula as you go along or use a clean sponge. Wait for a few moments, see where you need to dab on some more and then apply to avoid using too much. After all, you don’t want to feel weighed down. It also acts as a great primer so make use of it for a big dinner party or a night out. It’s a great idea to use your BB cream before you apply foundation. 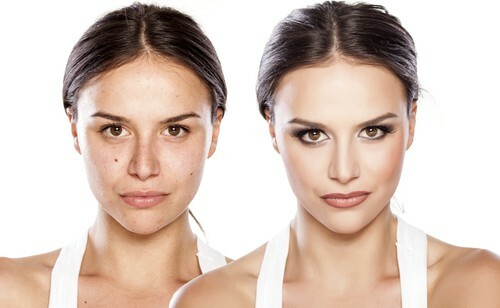 Again, just apply a drop of foundation to make sure you don’t overdo it. Finish with a swipe of compact to make sure your skin looks flawless all night! If you have great skin in general and only need to cover up the under-eye area, a BB cream may just do the trick for you. Take a pea sized amount and apply on the face to get a sheer layer with a blending brush. Using your ring finger, dot on a little extra of the product on the area below your eyes and blend. 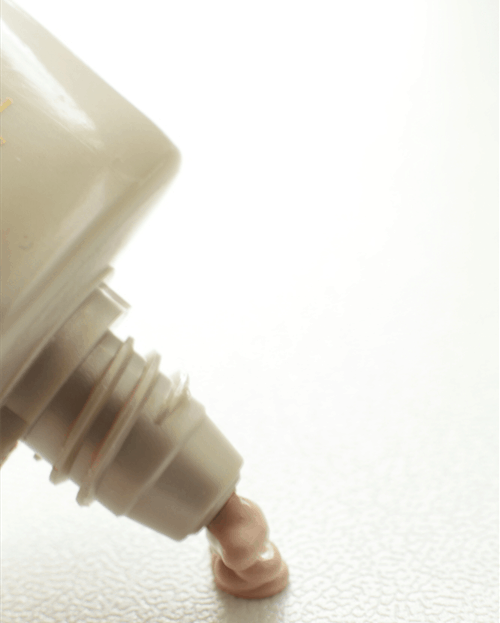 Now use a creamy concealer and apply it with your ring finger. The sheerness of the formula, with the concealer equals a super natural look and will help your peepers look fresher than ever! Now that you know how to use a BB cream, here’s what you should know about one! Most BB creams contain glycerin; anti-oxidants and vitamins which work as powerhouses for the skin, making them excellent moisturizers. Just look for an oil-free one if you have acne-prone skin. Perfect for daily use, a BB cream provides sheer, light coverage to even out your skin tone and leaves you with a non-oily, dewy-looking sheen. Redness, irritation and an odd pimple can be really annoying. Just use a fragrance-free BB cream, and use it on and around the zit to cover it. Dust on some translucent powder ( we like Maybelline Dream Matte Pressed Powder) on top to make sure the cream stays put. A lot of well formulated BB creams have hyaluronic acid and amino-peptides that help plump skin and also boosts its collagen production. Some of these also have caffeine which really soothe the under-eye area. In short, these little tubes of goodness are perfect for the busy woman to cover all her anti-aging needs along with all its other functions. Most brands offer at least 3 shades if not more. When buying a BB cream, pick the shade that comes closest to your skin tone. It lends a natural, pearly glow, making your skin look radiant! It has been proven that active ingredients BB creams like Vitamin C and licorice help fade away dark spots and discolouration. Many BB creams have also been formulated to correct melanin production with consistent usage too! Estée Lauder Daywear Anti-oxidant Beauty Benefit Crème SPF 35, Rs 2,100 Garnier BB Cream Miracle Skin Perfector SPF 24, Rs 190 Kiehl’s Actively Correcting & Beautifying BB Cream Rs 3,200 Clinique Age Defense BB Cream SPF 30, Rs 2,200 Maybelline Clearglow Bright Benefit Cream, Rs 199 MUST-READ: Smell Like A Dream: The Perfect Perfume For Your Zodiac MUST-READ: #HandsOff: Stop Touching Your Face NOW. Seriously.